be healthy? What does it mean to be well? Exercise science professor Dr.
college, and the only thing he knew was that he wanted to play college sports. In college, Doug decided to focus on hockey. But his sophomore year, he suffered a serious injury that not only derailed his hockey career but sent him into a year-long downward spiral. Without his sport, Doug felt lost—he didn’t even have a major. “I’m not really sure P.E. is a good fit for me,” Doug said. recover through specialized training programs. His professors’ encouragement built Doug’s confidence and helped him recognize how his passions could lead him into a unique career that would allow him to remain connected to sports and fitness. Two of his professors urged him to consider graduate school, and the following year, he began his master’s at the University of Wisconsin-La Crosse. “So, just working out and eating well, right?” Doug said. holistic development of a person, Doug explains: mind, body, and spirit. the biblical model of shalom. “When my mentors introduced me to that concept, I started to realize why I had been in such a funk when I got injured.” Doug had invested so much into his physical health that he hadn’t paid much attention to his mental, emotional, or spiritual health. When his physical health took a blow, he didn’t have the spiritual or emotional wellness to lift him up. body, and spirit are each being nurtured. balance—from heart patients to addicts to pastors to elite athletes. 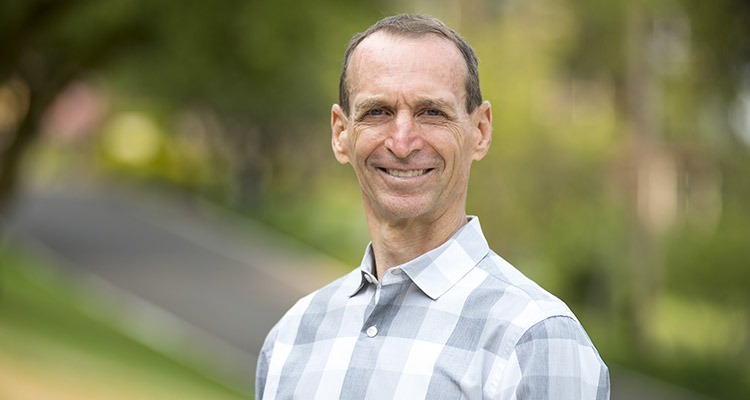 Over the years, Doug has worked in corporate wellness, physical therapy clinics, fitness centers, and as a strength and conditioning consultant. For one season, he also followed in his mentor’s footsteps and worked with cardiac patients in a hospital rehabilitation center. And he’d show them the data. wrong motives. “You’re just using this as another form of a drug,” he’d say. On the other side of the spectrum, Doug challenges Christians to see how the field of exercise science can shape their spiritual wellness. He remembers dialoguing with one of his pastors, a godly man whom he respected, but who struggled with his physical health. Together, they explored why caring for our physical bodies is a spiritual investment. “If you eat well, move your body, don’t smoke, and keep your blood pressure down, you’re going to live longer. You’re going to feel better.” You might also avoid burnout in your career and increase your ability to invest in others. with professional excellence in your field? them that their character is of utmost important in their athletic performance. Dr. Crowell had to learn the hard way. “Not sure,” many will say. dieticians, coaches, or even cardiac rehab specialists.